The Mexican Aerospace Industry started over 50 years ago, when the first companies set up factories to manufacture and assemble wings and aerostructures for planes built by North American Rockwell and components for Hughes Aircraft in the border city of Mexicali in the mid 60’s. Indeed, the industry has grown steadily and by the dawn of the 21st century manufacturers, universities, local, state and the federal government started taking steps to form a body that could identify the manufacturers, their products and their location. The sector focus on several specialties such as Aeronautical, Space, Defense, Drones and MRO and by 2006 there were some 109 companies, of which 77.1% are manufacturers, 11.9% are in maintenance, repair and overhaul (MRO) and 11% are engineering and design firms that represented exports of US$ 2.04 billion dollars. The aeronautical industry is concentrated in regional clusters is located in 18 states across Mexico. The highest number of companies are located in Baja California (with 80 companies), followed by Sonora (64), Chihuahua (30), Queretaro (34) and Nuevo Leon (23). During these 10 years, the industry has experience a boom of over 18% annual growth in the numbers of companies and generating over 40,000 jobs. Altogether, by 2014 the sector had surpassed 320 companies, with sales and export of over US$ 6.36 billion dollars annually. 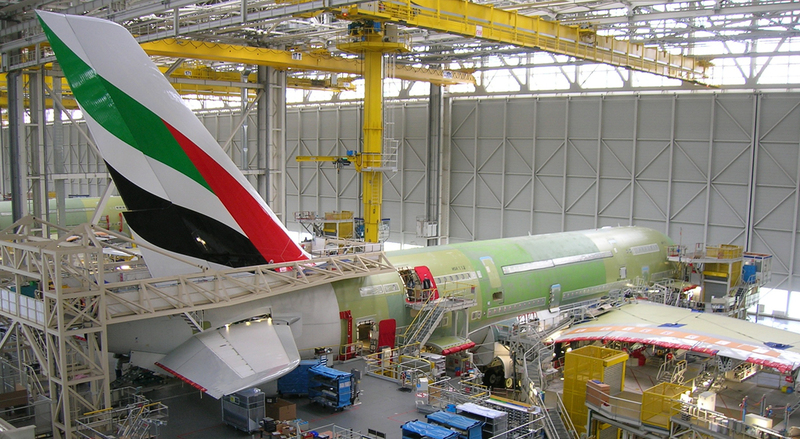 Currently, Mexico is the 6th supplier of aeronautical parts to the USA, ahead of Brazil, Italy, Israel and China. At the same time, Mexico is ranked 4th as destination of manufacturing investment in the aerospace sector behind China, India and the USA. Sonora has been successful attracting suppliers that specialize in, but no limited to the manufacturing of turbine parts. Several of them are dedicated to casting and machining metals parts and other essential turbine components. At present, Sonora is home to 64 companies based in cities like Navojoa, Ciudad Obregón, Guaymas, Hermosillo, and San Luis Río Colorado, and each has specific capabilities and certifications. While there are no aeronautical OEMs in the state, there are more than 60 Tier 1 and Tier 2 companies, each with more than 300 employees. The largest is Williams International—a manufacturer of turbines for private jets—located in Guaymas since 2007. Then in 2014 Groupe Talecoere a company based in Toulouse, France opened a factory in Hermosillo and produces on-board wiring systems for Airbus and fully assembles the Boeing 787 Dreamliner passenger door. Furthermore, Rolls Royce has an office that brings together the largest group of companies that tend to the supply chain in Mexico. Among those 64 companies at least 10 are SMEs that are suppliers to Tier 2 companies. One of the advantages of Sonora, in addition to the companies based there, is a workforce of over 10,500 in the aeronautical industry alone. The business fragmentation in the state generates low employee turnover, and it is rich in certifications, materials, equipment and processes. The strategic location of Sonora and its partnership with Arizona and link to Sky Harbor provides convenient access to the state of Washington, where Boeing is based. It is also close to Wichita in Central USA (where Boeing’s pre-assembly operations are located), or South Carolina in the Southeast (the site of Boeing’s assembly line). Sonora is also a privileged location for Airbus, which is building an assembly plant in Alabama.